When You Share Our Website on Facebook or, Twitter, Favorite Forum, or Blog and tell your friends about us. 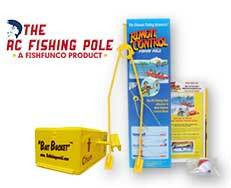 Get $5.00 Off any Rc Fishng Boat! $2.00 Off any Order! Call in Your Order and Get Our Free Gift! 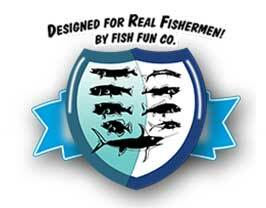 This is the web site of Fish Fun LLC.,Mi.,48377 We can be reached via e-mail at or you can reach us by telephone at 1-734-502-8796 For each visitor to our Web page, our Web server automatically recognizes only the consumer's domain name, but not the e-mail address. We collect information volunteered by the consumer, such as survey information and/or site registrations, We do not sell or share any information about visitors or consumers that visit or purchase any products on our site. With respect to cookies: We do not set any cookies. We might send you an email about future drawings or promotions. If you do not want to receive e-mail from us in the future, please let us know by sending us e-mail at the above address. Persons who supply us with their telephone numbers on-line will only receive telephone contact from us with information regarding orders they have placed on-line. With respect to Ad Servers: We do not partner with or have special relationships with any ad server companies. Upon request we provide site visitors with access to transaction information (e.g., dates on which customers made purchases, amounts and types of purchases) that we maintain about them. Consumers can access this information by e-mail us at the above address. With respect to security: We have appropriate security measures in place in our physical facilities to protect against the loss, misuse or alteration of information that we have collected from you at our site. If you feel that this site is not following its stated information policy, you may contact us at the above addresses or phone number.